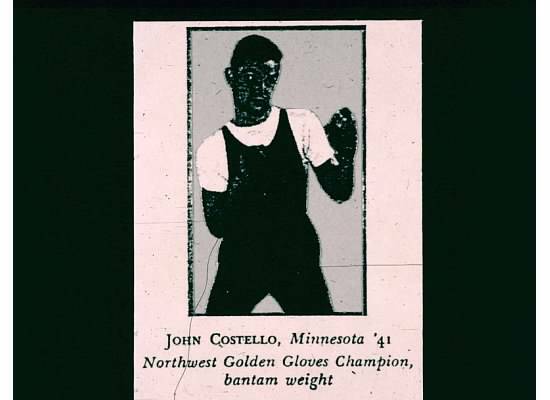 John Costello was a Gold Gloves Champion boxer, a U.S. Navy veteran of World War II, and a husband of more than 62 years. John Bernard Costello was born on September 7, 1917, in Minneapolis, Minnesota, and died peacefully at home on September 29, 2011, in Bloomfield Hills, Michigan. He graduated from the University of Minnesota in 1940 with a degree in business administration, and was a lifelong supporter of university alumni activities. He was a member of Phi Delta Theta fraternity. During his college years he was an avid boxer; boxing was an inter-collegiate sport at that time. 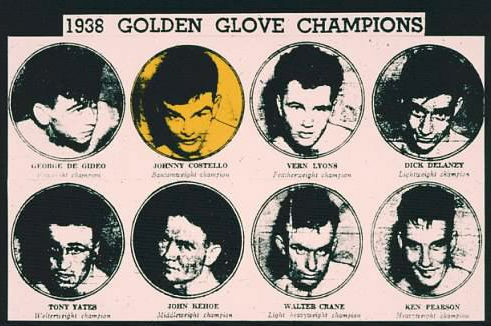 He won the 1938 Minnesota Golden Gloves, Bantam Weight Division. In 1942, he attended U.S.N.R. Midshipmen’s School at Northwestern University, and was commissioned an Ensign in the U.S. Navy. John saw action aboard submarine chasers throughout World War II, both in the North Atlantic and the Pacific. He participated in the invasion of Normandy on D-Day, and eventually became captain of a sub chaser in the Pacific. John met Marian Greenwood in the summer of 1948 on a blind date at a dance at Interlochen Club in Minneapolis. They were married June 13, 1949, and observed their 62nd wedding anniversary in 2011. In 1947, John joined Ford Motor Company in St. Paul, Minnesota, as a “Road Man,” calling on Ford dealers in the Midwest. When he was transferred to Dearborn, Michigan, he moved his family to Bloomfield Hills in 1957. John’s work was primarily in fleet sales and leasing, which involved extensive travel in the U.S., Europe, South America, and Australia. At the time of his retirement in 1991, he was Manager of Government Sales. 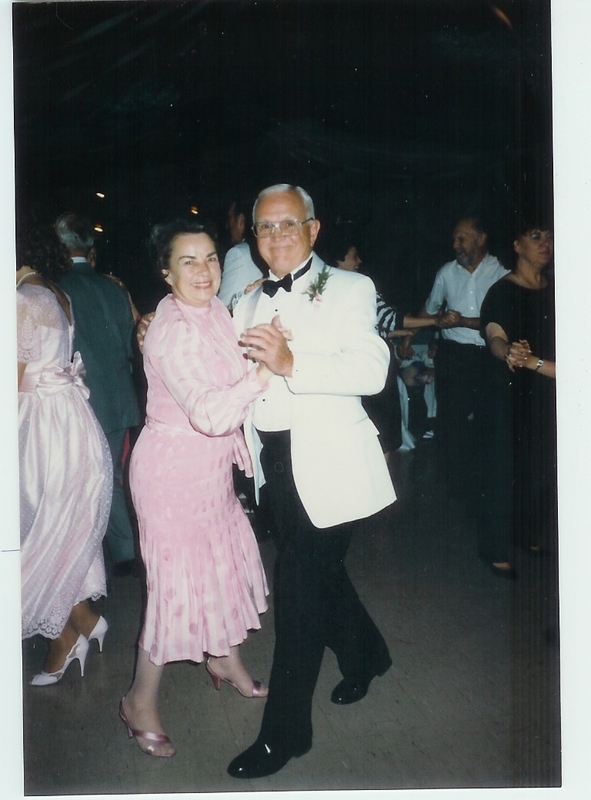 John and Marian belonged to various dance clubs through the years, and passed on their love of dance and music to their children. John was an amateur guitarist, and sang with choirs at St Hugo and St. Thomas More churches. He was also an occasional skier and an enthusiastic golfer. 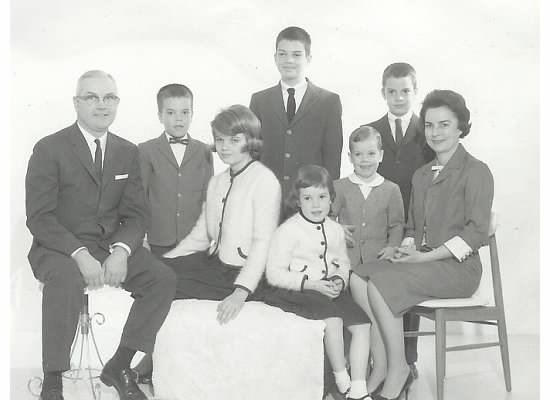 John is survived by his wife, Marian, his children Elaine (Thompson) Potter, Robert Costello, Danny Costello, Cynthia (Cimarron) Buser, and Michael (Melinda) Costello. His grandchildren are Mary Potter, Jimmy Costello, Paul and Colette Buser, and Quinn Costello. He was preceded in death by his son James Costello.